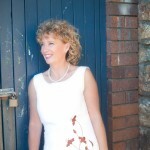 Debbie Hogg is The Self Worth Coach and is one of Australia’s leading coaches (PCC/APC), an ANZI Coach of the Year and Master NLP Practitioner. Debbie’s Y and passion is supporting others to understand and manage their ‘Inner and Outer Balance’ and loves how NLP 100% supports how people live their life. Debbie knows that when we give ourselves permission to fully show up in our life, amazing serendipities occur! Debbie’s energy is contagious and her clients have their tanks fully topped up. They become empowered to achieve anything they want. When plugged in to Debbie – Shift Happens. Debbie lives in Perth, Western Australia, the most remote city in the world and loves to spend time hiking in the bush with her husband and 2 daughters and creating an adventurous life! 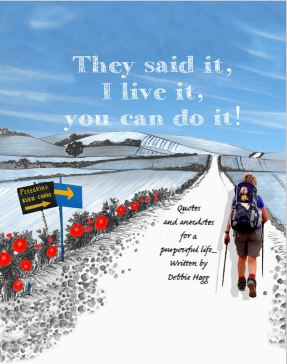 Debbie also owns and operates an Inspirational Cafe with Clive her husband. She loves to write inspirational quotes all over the walls and has uplifting and positive conversations with customers! What a difference this woman is making in the world. Find Over Board Cafe @ Hillarys Boat Harbour if you are in Perth, drop in and say hi. 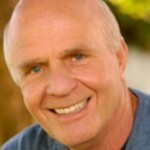 Dr. Wayne Dyer has been hugely influential in my development and I have spent hours listening to him speak and just love his philosophy on life. I was blessed to see him in Sydney at the ‘You Can Do It’ event in 2011. The Shift is an incredible movie for anyone to watch and his books are simple and straightforward. He is an internationally renowned author and speaker in the field of self-development. He wrote more than 30 books, created numerous audio programs and videos, and has appeared on thousands of television and radio shows. Watch many of his presentations on Youtube! It was a massively sad day on 31st August 2015 when he passed. Louise L. Hay is an amazing role-model and known as one of the founders of the self-help movement. Her first book, Heal Your Body, was published in 1976, long before it was fashionable to discuss the connection between the mind and body. Revised and expanded in 1988, this best-selling book introduced Louise’s concepts to people in 33 different countries and has been translated into 25 languages throughout the world. Louise’s book, You Can Heal Your Life – is my go to book for many things! It’s an awesome read around limiting beliefs and confirming ‘we are what we think’. I go it for anything from aliments, joint pain and issues with my body, even when I was stubbing my toe regularly – it gives me the cause and the affirmation to move things on. I’m 100% sure this fully supports my whole life! I only recommend people and websites which fully align with me. 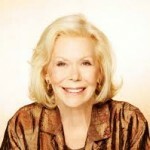 Another hugely sad day, 30 August 2017 Louise Hay passed away at the age of 90. She helped so many people change their lives! Esther Hicks, I saw Esther and Jerry back in 2013 on the Gold Coast, watching Esther is a breathe of fresh air, (I love what Abraham has to say because it’s so simple, sensible and straightforward). Esther is an inspirational speaker and author who dialogs with a group of spiritual teachers called Abraham. 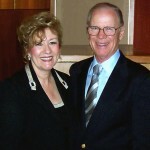 She co-authored eight books with her husband, Jerry Hicks. Esther presents Law of Attraction workshops for Abraham-Hicks Publications in up to 40 cities per year since 1987. The Abraham teachings affirm our well-being and help us to recognise the power of joy in achieving all we desire in life. Once again, check out the website and/or Youtube for samples of awesomeness and encouragement. Another tool for living our life on purpose!